Meet the Maker: Wood's Cider Mill — TASTE. SAVOR. SHARE. Willis and Tina Wood at Wood's Cider Mill in Weathersfield, Vermont. Since 1882, Willis Wood’s family has run Wood’s Cider Mill in Weathersfield, Vermont, on land first settled by Willis' ancestors in 1798. Willis and his wife, Tina, took ownership from a relative of Willis’s in the 70s—when Willis and Tina were in their 20s and he was in his 80s. Having raised their family (and now raising their grandchildren) on the farm, they’ve dedicated their lives to preserving the almost-once-lost arts of making boiled cider, cider jelly, and cinnamon cider syrup. Nearly all the apples they press are Macintosh varietals that come from farms within a 30 mile radius of their mill—a total of 12,000 bushels annually. 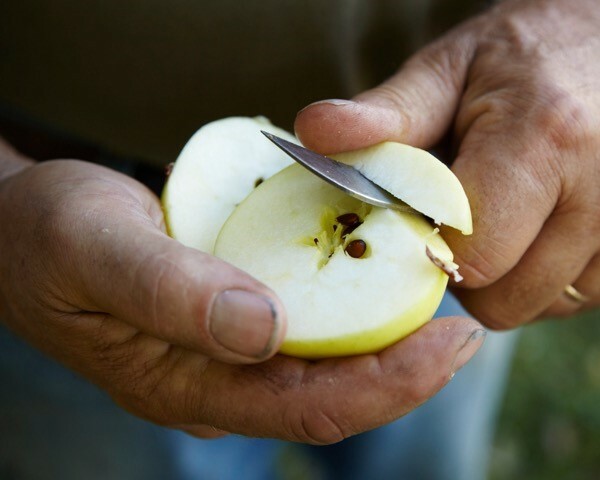 The Woods’ hard labor and love of their work adds up to bold apple taste and a built-in sense of reverence for their craft. 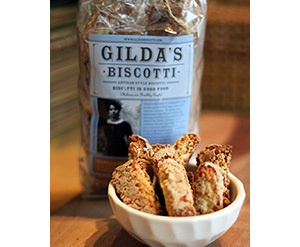 “I’ve read accounts of boiled cider, called apple molasses, produced in Northeast in the 1600s. My family used to ship 30-gallon barrels of it to the South as an ingredient for soft drinks.” At The Savory Pantry, we also love incorporating it into fall cocktail recipes. To create Wood's Cider Mill's Cinnamon Maple Syrup, boiled cider is combined with pure Vermont Maple Syrup and a touch of cinnamon to create a zesty syrup that adds interest to pancakes, waffles, and french toast. 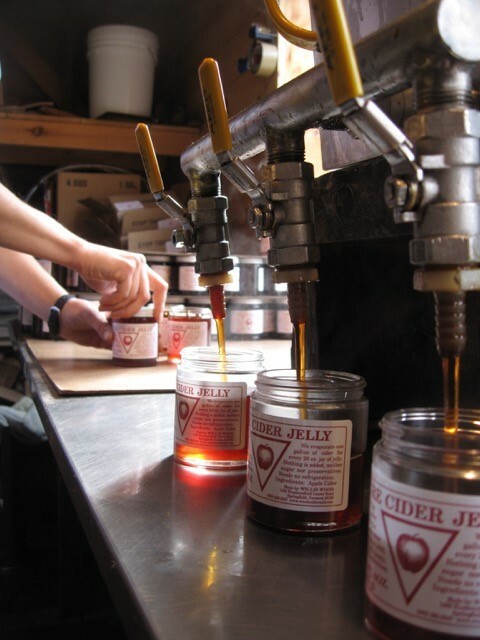 Cider jelly remains the biggest seller for Wood's Cider Mill, and the Woods make between ten and thirty thousand pounds of this glorious jelly each year. Below, Willis Wood's daughter, Marina, jars the jelly. Whether in Vermont or nowhere near it, you’ll taste family history and intense New England apple flavor in every product from Wood’s Cider Mill.